We all know people struggling with weight issues. Maybe they’re overweight and can’t seem to lose the pounds no matter what new diet or exercise regime they try. Or, maybe they’re underweight and have a hard time bulking up no matter how many donuts they consume or weights they lift. Clearly, there’s more to your weight than what you eat. Researchers have been hot on the trail of genetic factors influencing obesity ever since the discovery of the gene coding for leptin, a protein responsible for telling the brain “I’m full.” But just having a genetic variant linked to obesity doesn’t mean stretchy waist pants are a certainty — many factors interact with diet to affect your health. Several years ago, a team led by Dolores Corella and Jose Ordovas discovered that the variant in the APOA2 gene is associated with obesity as well as general food measures like total calorie and protein intake. In a new study published last month in the Archives of Internal Medicine, Corella and Ordovas replicated the association with obesity in three independent populations and determined that the association depends specifically on the amount of saturated fat in the diet. More than 3400 individuals across three population groups — 2532 people of European ancestry and 930 Hispanics from Puerto Rico — participated in the study, providing data on dietary intake, physical activity, body mass index (BMI) and other variables. In the two European populations, individuals with two copies of the C version of had significantly higher calorie intake than individuals with at least one copy of the T version — a finding that echoed their previous work. When Corella and her colleagues looked at BMI, however, they found that was significantly associated with higher BMI, but only in individuals who consumed high amounts of saturated fat, irrespective of total calorie intake. In all three populations, there was no association between genotype and BMI in individuals who consumed diets low in saturated fat. Furthermore, there was no significant difference in BMI for individuals who had low intake and individuals who had high intake if they had at least one copy of the T version. But people with the CC genotype who consumed diets high in saturated fat had significantly higher BMI than people with either the TC or TT genotype who also consumed high saturated fat diets. After combining data from the three groups, Corella’s team determined that individuals with the CC genotype who had high saturated fat intake also had about 1.8 times higher odds of obesity than individuals with the T version who consumed similar amounts of saturated fat, total calorie intake being equal. 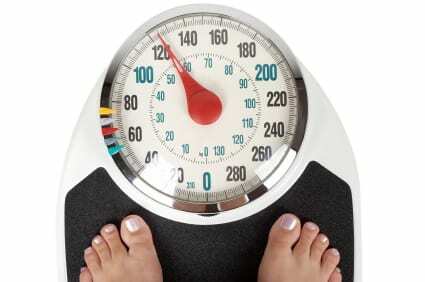 Although earlier research in animals has implicated APOA2 in obesity, its role in human health has been controversial. In this study, Corella and her team show that saturated fat intake can interact with a genetic variant in APOA2 to increase obesity risk. In fact, the variant makes more of a difference the more saturated fat one consumes. While minimizing saturated fat intake continues to be common sense, in a society characterized by rich diets and increasingly sedentary lifestyles, discoveries like this drive home the fact that genetics and environment together form an intricately interwoven picture of our health.